4월 12일을 시작으로 약 2개월 간 ReDI와 함께 할 Arthur을 소개합니다. Arthur이 한국을 찾아온 이유는 무엇일까요? 그리고 ReDI와 어떤 관련이 있는 걸까요? 궁금해 하실 여러분들을 위해 ReDI가 직접 인터뷰를 진행해보았습니다. R: Hi, Please briefly introduce yourself. 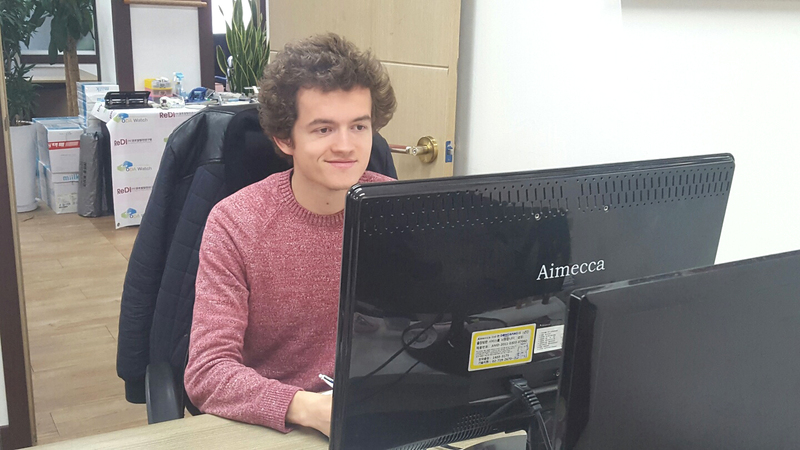 A: My name is Arthur Ansquer, I am a French master student at Maastricht University (The Netherlands) for the year 2016 – 2017. 제 이름은 아서이고, 2016~2017년 동안 네덜란드의 Maastricht University에서 석사과정을 밟고 있는 프랑스 국적의 학생입니다. R: What brings you to come to Korea? How did you decide to come here? 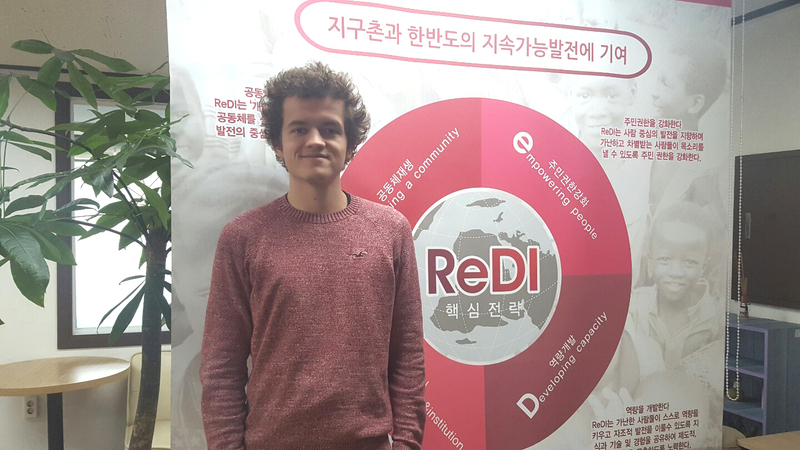 A: I came to Korea on the 10th of April 2017 in order to carry out an internship in ReDI as well as personnal research for my master thesis related to Saemaul ODA. This choice was motivated by my previous interest about Korean culture and history, and reinforced while studying development during my master programme. Indeed, issues such as Korea’s spectacular evolution since the end of the Korean War, transition to aid recipient to aid donor and its growing development industry were regularly mentioned during my studies. 저는 2017년 4월 10일에 한국에 도착했고, ReDI에서 인턴십을 수행할 뿐만 아니라 새마을 ODA와 관련된 석사 학위 논문을 발표하기 위해 한국에 왔습니다. 한국에 오게 된 계기는 한국문화와 역사에 대한 개인적인 관심 때문이었고, 석사학위 프로그램에서 개발협력 분야를 공부하면서 더욱 관심을 가지게 되었습니다. 실제로 6.25 전쟁 이후 한국의 눈부신 발전, 원조수원국에서 원조공여국으로의 탈바꿈, 그리고 빠르게 성장한 산업발전과 같은 이슈들이 연구하는 동안 자주 언급되었습니다. R: What have you worked or studied for? Please explain your work/study background. A: I completed a Political Science bachelor in “Universite Lille 2″ (France) before joining my current master. Sociology and political science gave me tools to constantly reflect on discourses presented to me, as well as challenge and question established ideas. I wanted to expand my field of study by adopting an approach less centered on French institutions and context, that is why I choose to join the Globalization and development studies master in Maastricht University. 현재 석사를 하기 전 프랑스 Lille 2 대학교(Universite Lille 2)에서 정치학 학사 학위를 취득했습니다. 사회학과 정치학은 제게 주어진 도전과 질문들을 바탕으로 문제들에 대해 지속적으로 성찰할 수 있는 도구들을 제공했습니다. 저는 프랑스의 제도와 역사적 맥락에 덜 중점을 두는 접근을 택함으로써 연구 분야를 확대하고 싶었습니다. 그것이 제가 마스트리트 대학교(Maastricht University)에서 ‘세계화와 개발학’이라는 주제로 공부하게 된 이유입니다. R: What do you expect to do in ReDI? Do you have wish lists with us? A: I expect to get a grasp on what the practical tasks of working in such an organization in the field of development are, by observing my co-workers as well as contributing to ReDI’s efforts. 저는 ReDI와 같은 개발 분야의 조직에서 어떠한 실무가 진행되는지 파악하길 기대합니다. 동료들을 관찰하고 ReDI의 노력에 기여하면서 말이죠. R: What was your first impression about ReDI? Before and after how it is different? 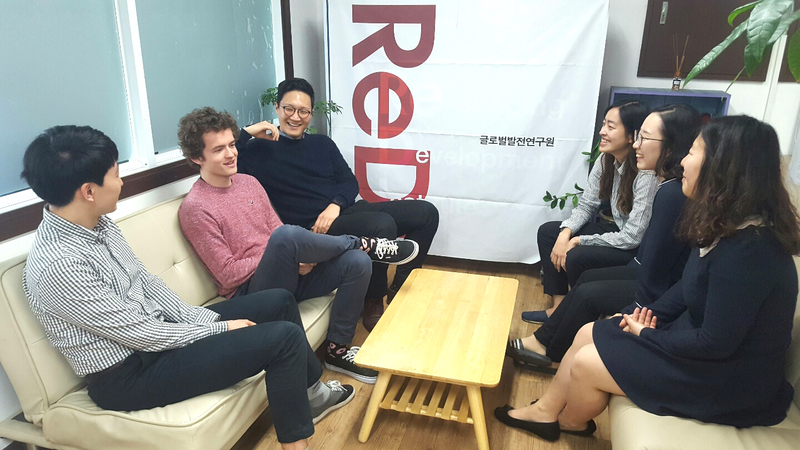 A: Before coming to ReDI I did not know neither what to expect from working in an organization in such a field, nor what it was like to work in Seoul. I was reassured to realize that everybody is open-minded, really kind and helpful. People are passionate about their work and I am impressed and honored to take part in such an institute. ReDI에 오기 전, 저는 이 분야의 조직에서 무슨 일을 하게 될지 그리고 서울에서 일하는 것은 어떨지 전혀 몰랐습니다. 여기에 계신 모든 사람들이 제게 금방 마음을 열고 친절하며 잘 도와준다는 것을 깨달았습니다. 각 팀만의 역동성뿐만 아니라 이곳의 전체적인 분위기가 좋다고 생각합니다. ReDI는 그들의 일에 열정적이고 제가 이런 연구원에서 일하게 되어 감명 받았습니다. R: Lastly, tell anything that you would like to say. 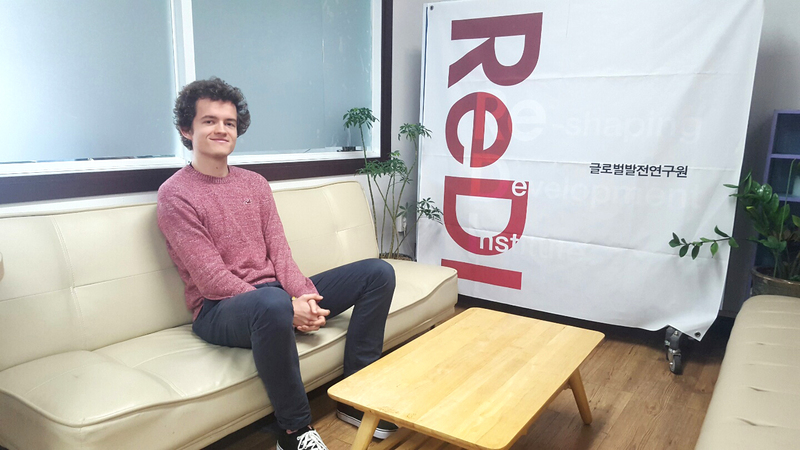 A: I would like to thank ReDI that accepted my application, my supervisor Wiebe Nauta and everybody that I am working with in Seoul. I am thrilled to be part of the institute and I hope I will be useful and valuable to ReDI! ReDI에서 제 지원서를 받아주셔서 감사하다는 말씀 드립니다. 또한 제 지도교수님이신 Wiecce Nauta와 서울에서 함께 일하고 있는 모든 분들께도 감사드립니다. 제가 ReDI의 일원이 되어 기쁘고, 앞으로도 ReDI에 유용하고 가치 있기를 바랍니다. 감사합니다! ReDI와 함께 하게 된 Arthur, 응원하겠습니다.